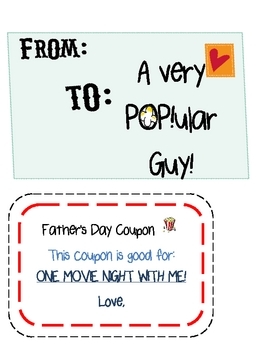 Father's Day "For a POP!ular Guy"
This is a cute idea for a Father's Day gift using red and white striped popcorn bags found at the dollar tree store! 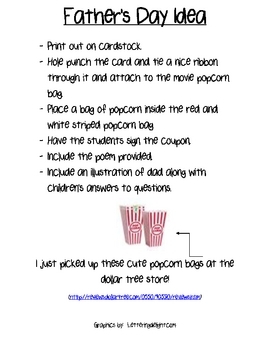 - a cute card to tie on the outside of the popcorn bag. - a "free movie night" coupon for dad to enjoy! 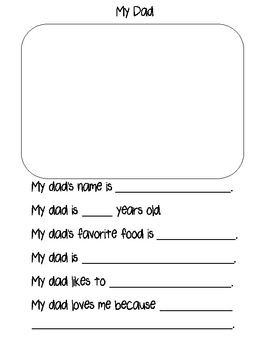 - a cute question and answer page for the students to read and respond to (describing their dads). - a special Father's Day poem.